Cars sit in the parking lot of Hamilton Place mall in Chattanooga, Tenn., Monday, July 24, 2017. Hamilton Place will be 30 years old this August. Thirty years ago, the vast acreage that now makes up Hamilton Place mall and the array of nearby stores, restaurants, other businesses and residences around it was basically just woods. "It was sort of isolated," said Charles Lebovitz, chairman of shopping center developer CBL & Associates Properties Inc. "It was totally undeveloped land sitting here." Today, the mall and the development that has mushroomed in East Brainerd generate more than $2 billion of retail sales annually and employs more than 17,000 people, according to CBL officials, who this week will mark Hamilton Place's 30th birthday. The 1.3 million-square-foot mall and the related growth exceeded expectations, Lebovitz said in an interview last week with sons Stephen, CBL's chief executive; Michael, executive vice president of development and administration; and Alan, senior vice president of management. American singer, songwriter, actress Tiffany will highlight Hamilton Place mall turning 30 years old at 9:30 a.m. Friday outside the Food Court entrance. Miss Tennessee Outstanding Teen 2017, Chattanooga Mayor Andy Berke, Hamilton County Mayor Jim Coppinger and CBL & Associates Properties Inc. executives also will be on hand. 1961 Moses Lebovitz, Charles Lebovitz and Jay Solomon, principals of Independent Enterprises, start developing commercial and shopping center real estate. 1970 Independent Enterprises merges with Arlen Realty & Development Corp., a New York public company with a large portfolio of shopping centers primarily in the eastern half of the United States. 1977 Charles Lebovitz becomes president of Arlen’s shopping center division. 1978 Lebovitz and five associates form CBL & Associates Inc. to develop regional malls and community centers. Its first mall, Plaza del Sol, in Del Rio, Texas, opened in March 1979. 1987 Company builds its flagship mall, Hamilton Place, in its hometown. 1993 CBL becomes real estate investment trust CBL & Associates Properties Inc. and is listed on the New York Stock Exchange. 2005 CBL opens its first mall on the West Coast, Imperial Valley Mall in El Centro, Calif.
2011 CBL and Horizon Group Properties open The Outlet Shoppes at Oklahoma City as the company begins developing outlet centers. "We had high expectations, but its results have been even higher," Charles Lebovitz said, citing sales and the development in the Hamilton Place area that the company estimates draws 20 million people a year. 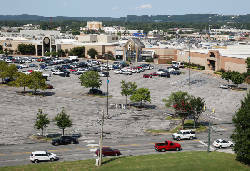 The senior Lebovitz, who with five associates had formed Chattanooga-based developer CBL & Associates Inc. in 1978, recalled he learned in 1982 from a McCallie School and Vanderbilt University friend that another company was looking at the site for a shopping center. The former schoolmate, Lou Conner, whose family owned much of the tract, told him, "If anyone is going to build a shopping center on my land, it's going to be my old buddy Charlie." Lebovitz said he spent the next couple of years as a mediator among five Conner family groups to assemble the property. He ended up putting together 187 acres initially, which later expanded to 200. "Everything is history from there," the CBL chairman said. 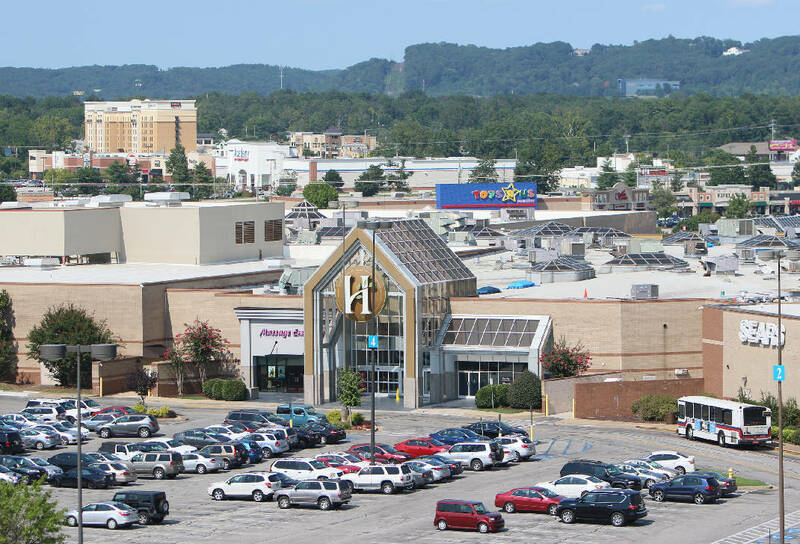 At the time, Hamilton Place was the largest shopping mall in Tennessee and one of the signature centers for CBL, which the Lebovitzes have grown into one of the nation's largest mall Real Estate Investment Trusts. CBL owns, holds interests in or manages more than 128 properties nationwide, including Hamilton Place and Northgate Mall in Chattanooga. Stephen Lebovitz, who succeeded his father as CEO in 2010, said that when CBL bought the property, the mall was just one piece of their plan. Company officials expected growth around it. "There's been a lot of change, but the real estate was great real estate," he said, adding that part of Hamilton County continues to be among the fastest growing. Michael Lebovitz said the perception 30 years ago was that the site was "in the country" in terms of Chattanooga. "What has happened in the ensuing 30 years is that there has been a tremendous amount of growth," he said, citing the East Brainerd corridor to Ooltewah. Alan Lebovitz said the front of the mall was originally conceived as the side facing Interstate-75. "That almost flipped with the growth in the area with Gunbarrel Road," he said. Today, he said, you can make a case that there's not a front or back due to the growth around the mall. Charles Lebovitz said that the name Hamilton Place was used to reflect the broader trade area, serving not just Hamilton County but the shoppers mid-way between Chattanooga and Atlanta, Knoxville, Nashville and Birmingham. In 1987, the economy nationally and in Chattanooga was doing well, and the mall opened with about 140 stores, the majority of which were new to the local market, he said. "It was that excitement, that newness, that was brought to the market," Lebovitz said. "It generated the excitement and got the attention of the public and people who live on out beyond the core area." A big key to gaining the stores was better access to I-75, he said. While there was a link to the interstate from Shallowford Road, it was a narrow ramp without the signals it has today, Lebovitz said. "You could see [the tract of land] from the interstate, but you couldn't get to it," the CBL chairman recalled. "There was no access except Shallowford Road." He estimated it was a two-year process to gain approvals from state and federal transportation officials to create the improved connections to the interstate that now exist in addition to the enlarged Shallowford Road intersection. Even now, there are plans to improve interstate access from Hamilton Place Boulevard with the hope that it will relieve traffic on Shallowford Road with a new connection. That effort should gain momentum with the passage of the IMPROVE Act, adopted earlier this year by the state legislature along with a gas tax hike for road projects. Sales per square foot at Hamilton Place average about $400, Stephen Lebovitz said. That's one of the higher levels in CBL's mall portfolio and comparable for a "tier one" property, he said. "It has been pretty consistent," the CEO said. That figure is a little misleading because total sales in the area is growing across the complex, he said. CBL has developed just about the entire tract between the mall and Shallowford Road on that side of Gunbarrel Road, while other developers have invested in the area and continue to do so. For the mall, up next is the introduction of clothing retailer H&M to the Chattanooga area later this year, along with the opening of a Rodizio Grill in East Brainerd. A big project to watch will be the redevelopment of the Sears store and the property around it, according to CBL. Earlier this year, CBL bought the store from the struggling retailer as part of a deal for seven Sears locations in six states. Stephen Lebovitz said CBL controls the timing on the redevelopment of the Sears site, having to give the retailer six months notice. "We're working on redevelopment plans for that," he said. "It's a tremendous opportunity. We're looking at more restaurants, entertainment, possibly incorporating mixed use. It will broaden the attraction to the mall and make it consistent to where malls are evolving." That evolution involves less of what's seen in conventional malls and more in suburban town centers, Lebovitz said. "Every mall is different. It's not a cookie-cutter approach. It's a reflection of what the consumer wants." CBL's stock price has gone down this year, in part, because of a lot of negativity over some retailer bankruptcies and store closings along with the growth of internet sales, Lebovitz said. CBL officials believe the markets are over-reacting. The CEO said occupancy in CBL malls last year ended at 95 percent. He feels the company's shares will rebound over time. Alan Lebovitz said the internet can't replace "the community aspect" that Hamilton Place brings such as "social engagement." "It's shopping, eating, being social, interacting with families, friends and neighbors, supporting and impacting the community," he said. Stephen Lebovitz said that, because the company's headquarters is next to the mall, officials use it as a lab to try new concepts and retailers. "We're doing pilots of new technology to see how its works," he said. "Having that ability is important to us to be innovative." As the mall turns 30, Lebovitz said, officials are thinking about what to do for the next period of time. While the mall has been renovated three times and seen its logo change along with new colors and stores, there are some constants, Charles Lebovitz said. "One thing that's the same is the location," he said. "It's the real estate. It's the market it serves."